With Christmas just 15 days away (ahhh, send help!) I’ve been scrambling to get the last of the holiday posts done before it’s too late. Do I have my shopping done? Nope. Holiday baking done? Absolutely not. But I do have a giant lip balm Christmas tree hanging on my wall, so I’m going chalk that up to a slight holiday win. 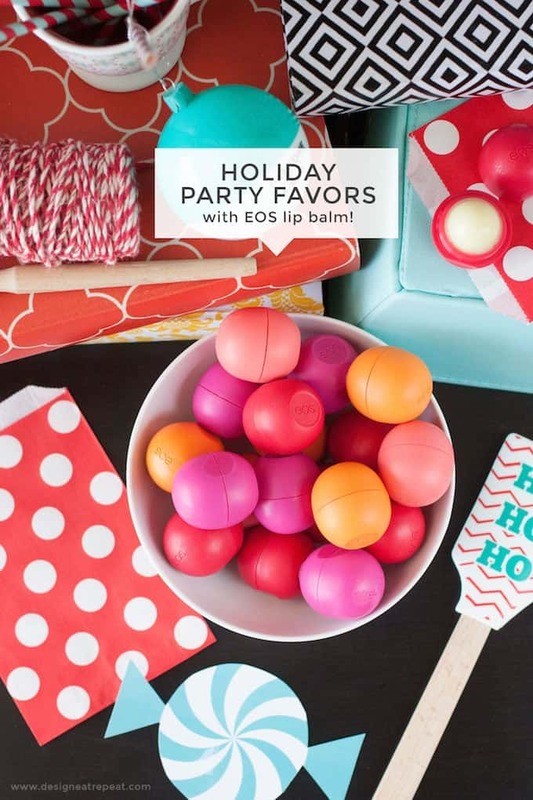 If you’re hosting a holiday party this year, consider sending your guests away in color with these holiday party favors using EOS lip balm! 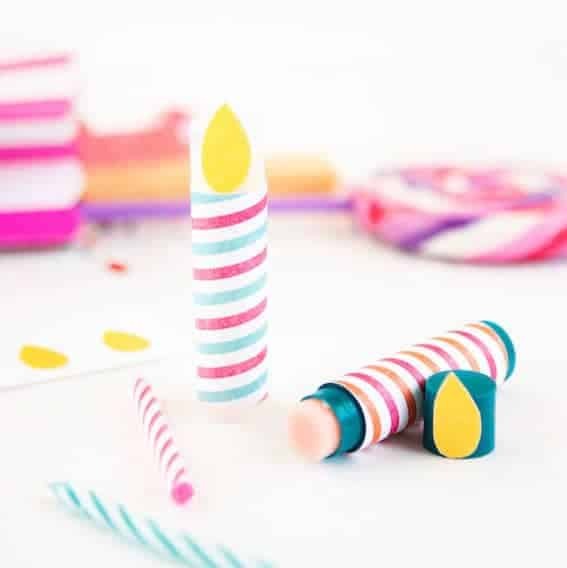 This project is fun to put together and makes a unique party favor idea for all ages of your party-goers! 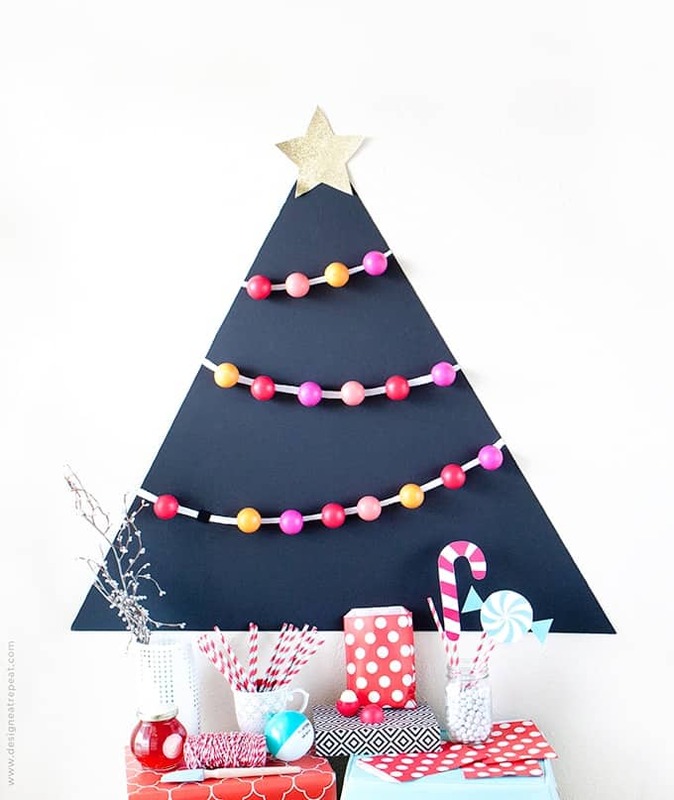 To create the tree, I cut a large black matte board into a triangle and then painted on the white lines with acrylic paint. Once completely dry, I attached strong velcro squares along the strands where I was going to place the lip balms, as well as to the bottoms of each lip balm. (I attached the soft side of the velcro to the actual lip balm and the rough side to the board.) The last step was to adhere the board to the wall (I used a small nail at the very top), attach the star, and then pop on the tiny EOS lip balm lights! Depending on your number of guests, you can adjust the size of the tree and the amount of lip balms you add. 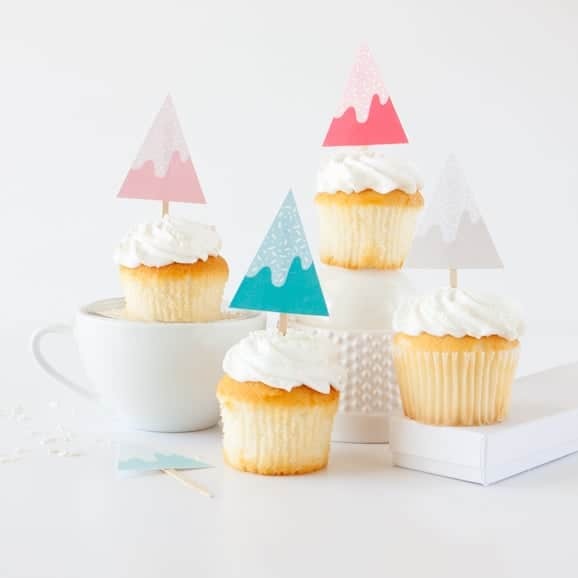 Set some cute festive gift bags on the table underneath and allow each guest to pick off their favorite color and take it home as a holiday party favor. I’ve included the Amazon link to this Rachel Roy set that includes these exact colors, but you can find EOS balms for a little less expensive at most drugstores, Walmart, or directly on their website. Considering myself and about every other EOS owner is obsessed with these balms, you might want to hire a bodyguard to stand next to the tree. All I know is that if I took this to my family’s Christmas gathering, the entire tree would be disassembled and laying on the ground within a few minutes of setting it up. But I don’t blame them, because these cute little grapefruit flavored nuggets make for some good-smellin’ Christmas lights. I fell in love with this styling when I saw it on instagram! And I didn’t get the “lip balm” part, I was like… where’s the lip balm? Aha! That’s a good idea. This is such a lovely idea! 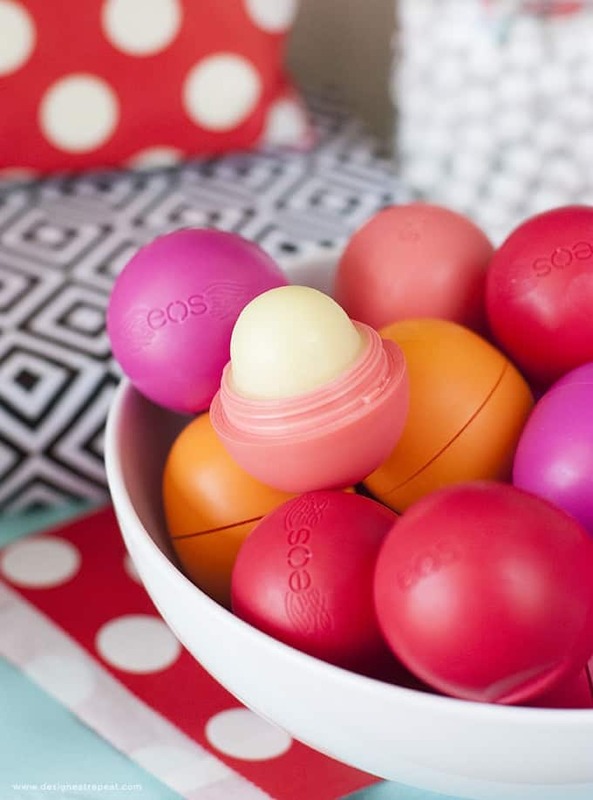 I love the EOS balms!